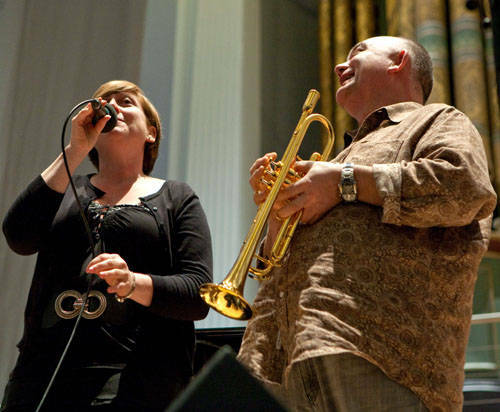 Australians Anita Wardell and James Morrison rehearse for a tribute to Ella Fitzgerald and Louis Armstrong at Town Hall, Birmingham. The concert featured the BBC Big Band and was broadcast on BBC Radio Two. John Watson is a UK-based photographer and writer, whose work is frequently featured in Jazz Journal magazine and many other publications. His first book of photography, The Power Of Jazz, was published in March 2010 and can be viewed online at www.blurb.com/bookstore.